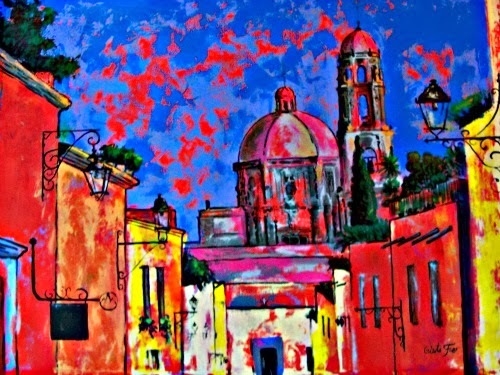 New Cristiana Marinescu paintings of Beautiful San Miguel now on display at Hacienda Home, on Zacateros across from FdEx office. If you are visiting San Miguel mark it on your "to visit" list. 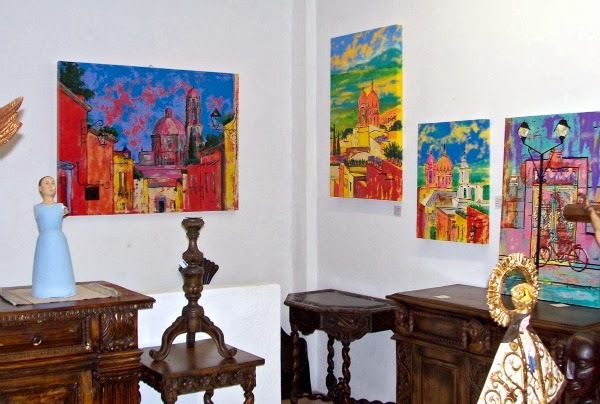 If you just bought a home in San Miguel this is a great place to order a colonial San Miguel style table or book shelve and buy art for your home.